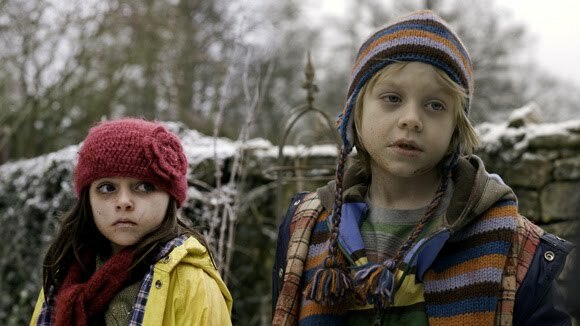 The Rockport Film Review: "The Children" Creepy Kids and they're BRITISH! There is a long and storied history of horror movies dedicated to evil kids. The original 1960 “Village of the Damned” set the standard and other movies such as “The Bad Seed”, “The Omen” and most recently “Joshua” and “Orphan”. Many have been remade and studios keep churning them out. Tom Shankland's 2008 film “The Children” follows two related families as they celebrate Christmas. Both are upper class modern British families that can be a little annoying at times but the plot is grounded by a sort of twisted reality. This film and all other evil kid movies always pose the same question. Under the circumstances, could you kill your own children? We never really get an explanation as to how and why the kids turn on the adults, but upon arrival at the relative's house, one of the children gets sick. This doesn’t raise any alarms as kids do get sick a lot. Never underestimate the power of a prolonged blank stare of a child to really creep you out. All of the kids eventually get sick and turn a family dinner into one big tantrum. After this “accidents” start happening. The cat goes missing; one of the parents is KO’d by a runaway sled. The kids start to take over and the parents lose their ability to control their own kids (if they ever had it to begin with). These kids need some serious discipline, but the parents refuse to slap them around an put them in there place. As things really start to get worse, the parents all seem to be in a state of denial and are powerless to take any action. One of the mothers is lured onto the monkey bars and eventually falls backward and breaks her leg. The compound fracture as I mentioned in a previous review is just about the most gruesome injury I can think of. The adults and teenage daughter seem to be unaffected by this “virus” or whatever the kids have been passing around. The teen girl seems to be the only one that takes care of business when it comes to the disposal of these evil little bastards. What is really disturbing is how the kids manipulate their parents into there doom. I don’t have kids but I can see how no parent can resist the cries of their kids even if it means they want to kill you. 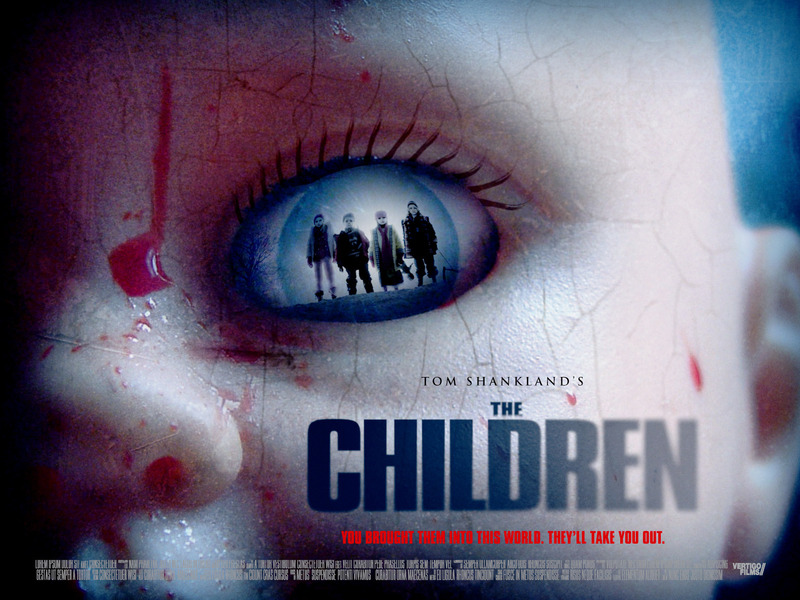 The ending is somewhat confusing, but all in all “The Children” is a pretty decent film. Its well made and acted for the most part as compared to “Offspring” in my last review.